The excessive amount of environmental and health risks that illegal dump sites pose on both humans and animals is staggering. 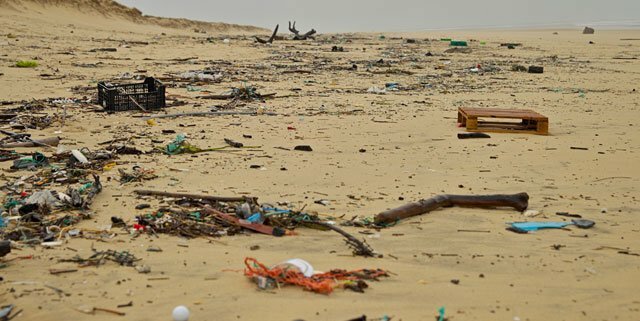 Fragile ecosystems and protected wildlife habitats can be easily destroyed by pollution caused by incidences of illegal dumping. Burning of solid waste at dump sites and harmful toxins dumped unlawfully eventually find their way into surface and groundwater, contaminating drinking water supplies with numerous, and very dangerous, pathogens. In late 2018, Lake Mead near Las Vegas, Nevada experienced massive water contamination caused by multiple illegal dump sites. These dump sites contained many dangerous waste products such as paint, chemicals, and paint, and prescription medications. After a particularly wet rainy season, toxins contained in the dump sites quickly sped their way into Lake Mead. As a water supply for 2.2 million Nevada residents, the state knew it was imperative to repair the damage from the contaminated lake; the cost of which resulted in millions in taxpayer dollars. In February of 2019, a man from the San Francisco Bay area, James Philip Lucero, was sentenced to 30 months in prison after discharging unpermitted pollutants into wetlands and waters of the United States, violating the Federal Clean Water Act. Without the legally-approved permits, Lucero charged a fee to building contractors and trucking businesses in exchange for providing open space to dump fill material and construction debris. Lucero’s illegal dumping caused water contamination to nearby federally protected wetlands, resulting in damage to fragile habitats and ecosystems in the southern area of the San Francisco Bay. An often overlooked consequence of the act of illegal dumping is the damage it incurs. Water contamination and pollution, environmental threats, and the risk to human health likely never cross the minds of those who perpetuate the crime of illegal dumping. Informing the public and proper deterrence of the act of illegal dumping is of the utmost importance to ensuring the safety of the world’s future.